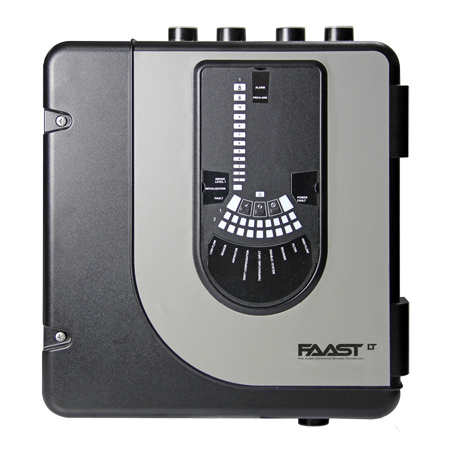 FAAST LT delivers a flexible solution for applications where standard detection methods are prone to failure or false alarm. Designed with the installer and end user in mind, the device serves a wide variety of EN54-20 Class C applications where maintenance is difficult, other smoke detection methods are inappropriate, due to harsh environments, or areas where aesthetics matters. Loop based FAAST LT detectors offer ultimate flexibility in terms of connectivity with the overall fire system and the stand alone FAAST LT serves remote applications where stand alone detectors are needed. The device is fast to install, easy to configure and includes installation and commissioning software PipeIQ LT. Designed for efficient wiring and installation: cable gland holes, easy access to the wiring area and no special tools required. Easy access to parts requiring routine maintenance: filter(s) or sensors(s).